CAOZ has been a leading European 3D animation studio since its founding in 2001, consistently producing quality films, commercials and visual F/X work. After creating two short films, The Lost Little Caterpillar and Anna and the Moods, that received numerous awards, CAOZ embarked on its first feature film , Legends of Valhalla – Thor. The full length CG adventure is set in the Norse mythology universe and was released in stereoscopic 3D in 2012. 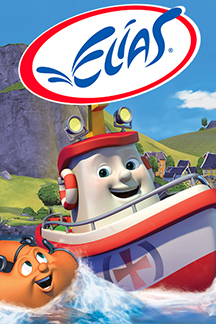 CAOZ is currently producing, in partnership with Norway’s Animando, the all-new, Elias: Rescue Team Adventures series, of 52 x 11’ CGI-animated episodes that are being released under The Jim Henson Company’s third party licensing banner, HIP (Henson Independent Properties). In addition to our current production, the studio has a number of projects in development or pre-production. CAOZ is a high tech company that has since its inception pursed technical innovation and solutions that would enhance our products, pipeline and prestige. But our core strength or secret sauce has always been our people, equally as individuals and as a whole. Our success to date is built around a cohesive team effort where every member plays a crucial role. Our ongoing mission is to combine great artistic talent and a passion for storytelling with extensive know-how of industry-leading tools and processes. We have made a point of working closely with other leaders in the animation industry on various projects. This includes our founding partnership in the Nordic TD Forum and membership of the Association of Icelandic Film Producers. Our work and partnerships have as a result fed a continuous-improvement cycle. CAOZ has always been and remains an innovative learning operation determined to leverage new technologies in order to deliver the best-possible product to the end-users of our work - the audience.